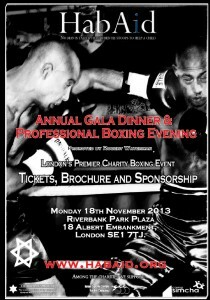 HabAid Boxing Night – Ringside Seats SOLD OUT! 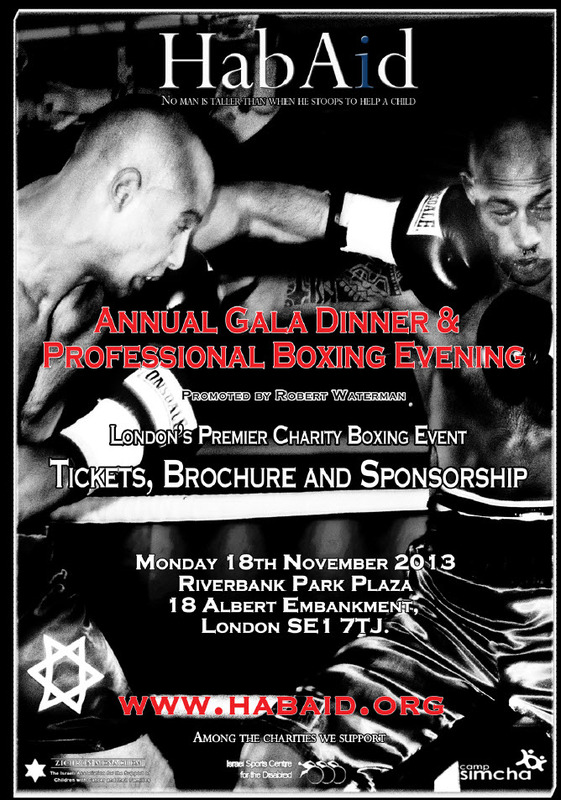 All ringside tickets for our forthcoming Charity Gala Boxing Event on 18th November 2013 are now sold out! There are a couple of table still available and one or two places on existing tables, but hurry as tickets are selling fast. This annual event now in its 51st year is going to be spectacular! HabAid thanks the British Boxing Board of Control and Robert Waterman for putting on a full professional evening of boxing across all the weights, and a top comedian, the night is set to raise lots for all our causes.